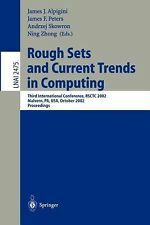 245 0 0 %a Rough sets and current trends in computing : %b third international conference, RSCTC 2002, Malvern, PA, USA, October 14-16, 2002 : proceedings / %c [ed. by] James J. Alpigini [et al.]. 260 %a Berlin ; %a Heidelberg : %b Springer Verlag, %c cop. 2002. 300 %a XV, 637,  s. : %b il. ; %c 24 cm. 711 2 # %a International Conference "Rough Sets and Current Trends in Computing" %n (3 ; %d 2002 ; %c Malvern, PA, USA).